If you have a food processor, pour the coconut milk into the processor with two tins of self raising flour. Also add a pinch of salt. Turn on your processor. Put the dough on a flour dusted surface and roll the dough into a sausage shape. Cut the dough in 8 even sized pieces and place it into a double layered muffin case. Next put it into one layer of the steamer. Pour the boiling water into wok and put basket of buns on top with the lid on and leave to steam hard! 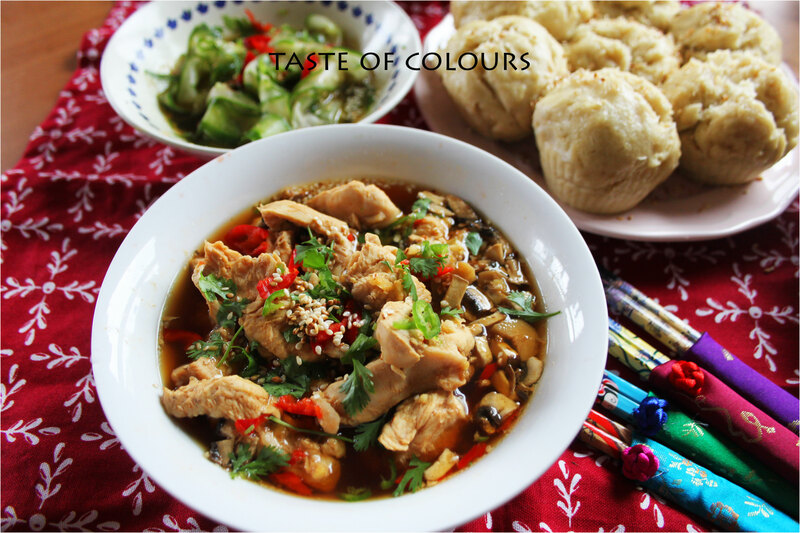 Cut the chicken into 1 cm stripes and toss in a bowl with roughly torn mushrooms, hoisin sauce, juice of half a lime and a pinch of salt. Get the second steamer basket and add the chicken. Put your chicken basket underneath the tray of coconut buns for 5 minutes until cooked through. This is important, because you don’t want chicken dripping on your buns. 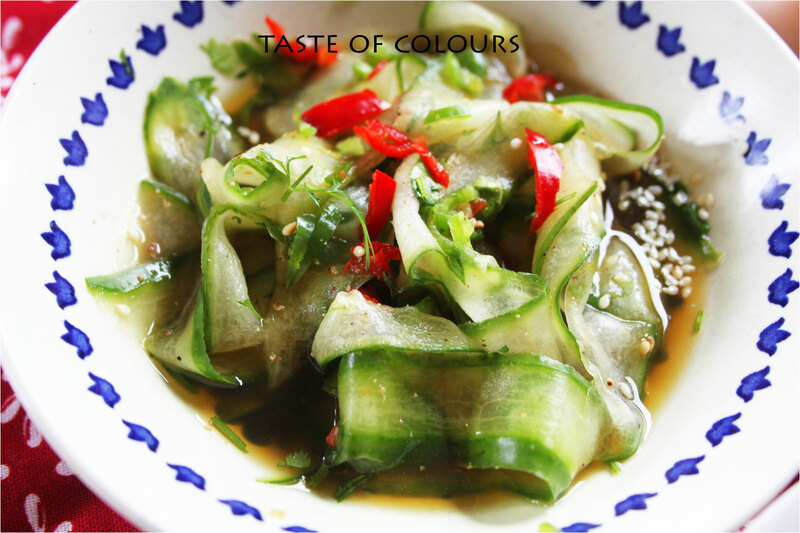 Next peel the cucumber into ribbons and toss in a bowl with soy sauce, vinegar and a few torn coriander leaves. With your clean hands squeeze and scrunch everything together to make a pickle. Toast the sesame seeds in the frying pan until golden and then tip into a little bowl. 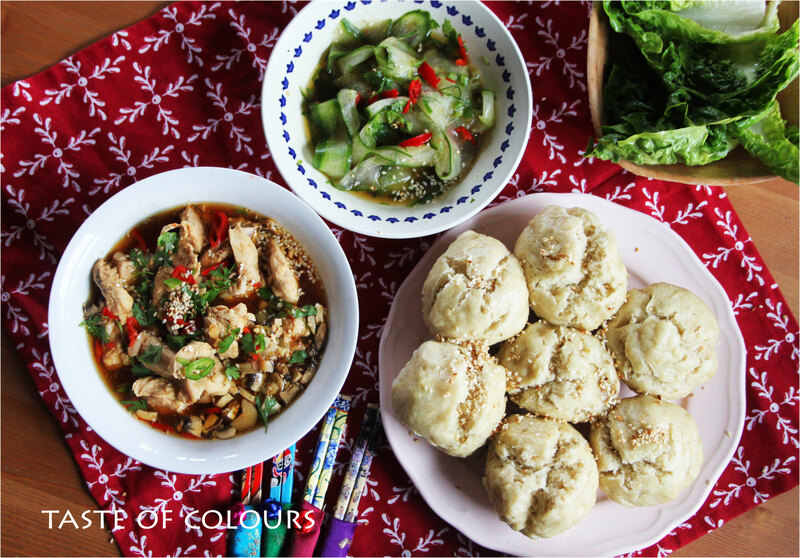 Serve the buns with chicken, scattering everything with the remaining coriander leaver and finely sliced chilli.